This tundish nozzle is also called zircon/zirconia metering nozzle, tundish metering nozzle. Changxing Refractory provides the technologically advanced, quality stable, service oriented alumina graphite to serve casting and refining fields. 1. 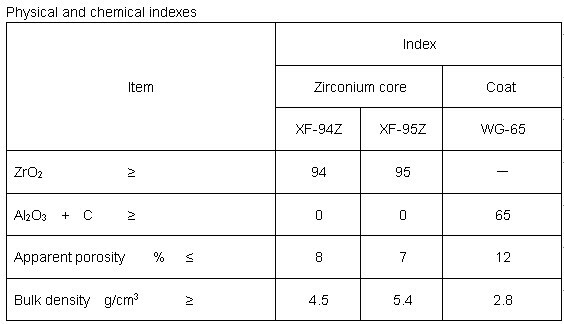 Changxing Refractory's zirconia sizing nozzle is custom designed, made from alumina graphite materials isostatically pressed. 2. 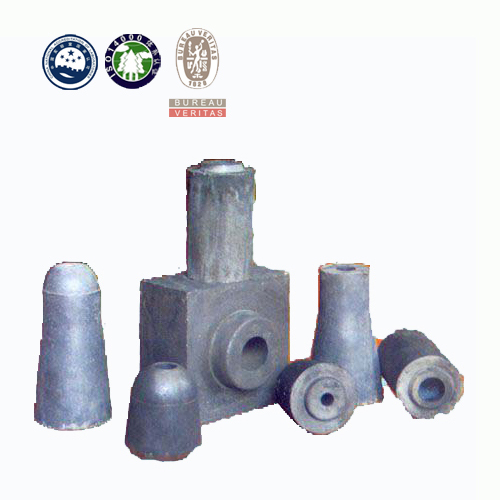 The Alumina graphite shroud is designed to protect the molten steel from re-oxidization and splashing during casting, and most of these products are non-preheated and can be reusable; stopper rod is designed to control the molten steel & iron flow from the tundish to the mould for the purpose to keep the consistent level. 3. 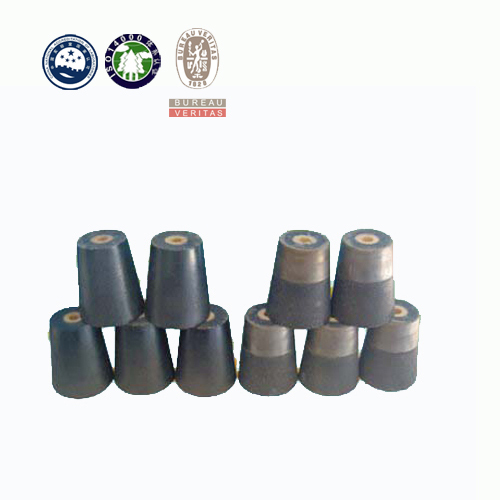 To provide erosion resistant seat areas and anti-clogging properties in the casting channel. 4. To ensure that there is no air ingress resulting in steel re-oxidation and nitrogen pick-up with consequent steel downgrading. 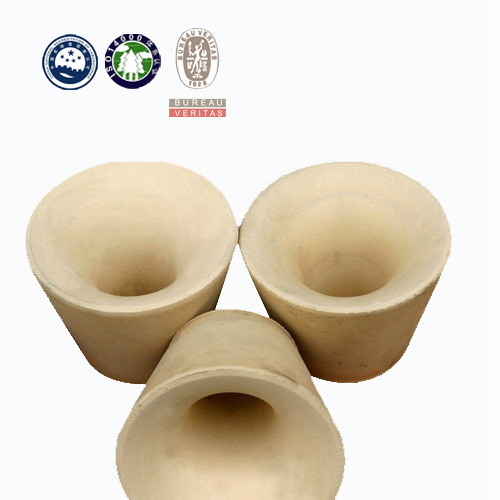 Changxing Refractory's zirconium sizing nozzle is used for tundish, and it has great performances of purifying liquid steel, prevent liquid steel oxidation, with good liquid steel washing resistance and erosion resistance.